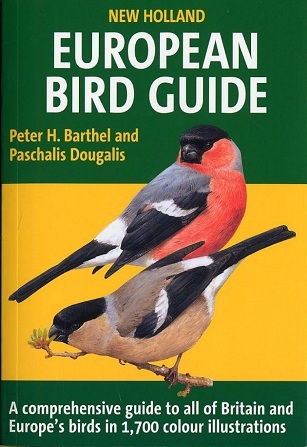 This comprehensive field guide covers more than 500 bird species, including all those that commonly breed, pass through or winter in Britain and Europe, plus a number of regular vagrants. It has 70 beautifully illustrated and very accurate full-page colour plates illustrating a variety of plumages and poses for most species. In total the book contains 1,700 bird images. The concise text is packed with essential information on the identification, calls, distribution and status of each species and the account for each species is on the page opposite its illustration. There is a distribution map for most species. The book’s combination of authority and portability make it an essential field companion for any European birdwatcher. It is more up-to-date than its nearest competitors and includes the latest taxonomic ‘splits’ such as Caspian Gull, Yelkouan Shearwater, Balearic Warbler and Iberian Green Woodpecker. In addition, it is less expensive and much more portable than these other titles, being lighter and more pocket-sized. The introduction includes an over view of bird families, while there is a section on bird song at the end of the book. Paperback, 192 pages and 70 full colour plates.